Waynesville, MO – Kum & Go opens the doors Thursday, September 20, at 6 a.m. to its newest store in Waynesville, MO, at 1395 GW Lane. 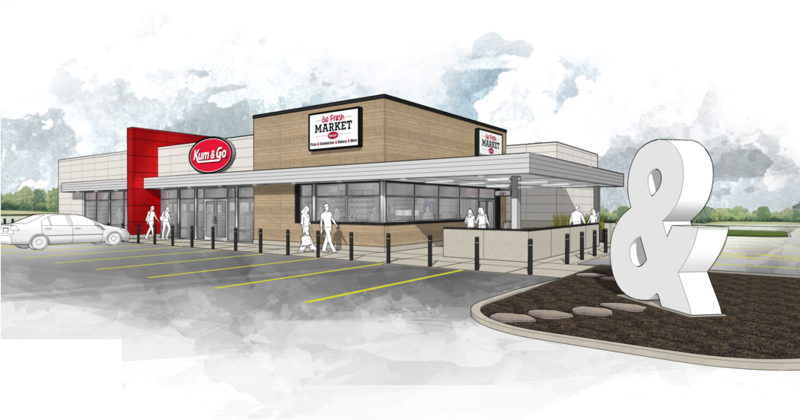 The nearly-6,000 square foot store will focus on fresh food and features a variety of unique offerings. To help encourage customers to try those offerings, the first 200 customers will receive a coupon for a free breakfast sandwich or donut on their next visit! The store will be open 24 hours a day. The phone number to the store is 573-774-3539. The phone number to the food area is 573-774-3982. Kum & Go operates 70 stores in the state of Missouri. Future locations of this food-focused layout are planned in Arkansas, Colorado, Iowa, Missouri, Nebraska and Oklahoma. For nearly 60 years, Kum & Go has been dedicated to the communities it serves, sharing 10 percent of its profits with charitable causes. For four generations the family-owned convenience store chain has focused on providing exceptional service and delivering more than customers expect. Established in Hampton, Iowa, in 1959, the chain has since grown to employ nearly 5,000 associates in more than 400 stores in 11 states (Iowa, Arkansas, Colorado, Minnesota, Missouri, Montana, Nebraska, North Dakota, Oklahoma, South Dakota and Wyoming).